Catch up time again on reviews and I’ve got several bottles I’ve really enjoyed, all at reasonable price points too. Anyone entering the kitchen must think ‘what a wino’ but if they notice the bottles are empty. 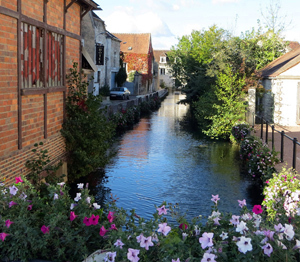 I keep the empties of those wines I haven’t yet reviewed – deemed worthy. These two, and several more to come, are quite worthy! 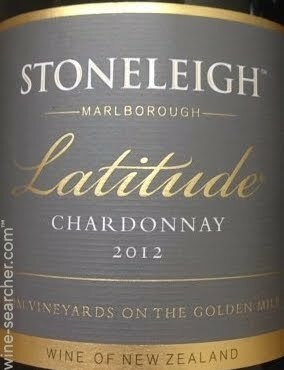 Stoneleigh Latitude 2013 Chardonnay – Let’s face it when you think New Zealand most people don’t think Chardonnay – sauvignon blanc or pinot noir sure, Chard – not so much. This wine comes from New Zealand’s “Golden Mile” in Marlborough – the premier region for wine grapes. I looked at this sample a couple of times when the box arrived certain I had never had a New Zealand Chard. I still don’t remember one but the Stoneleigh could change that. Since I’ve written over the past several years I’m not a big Chard fan, I just may have to go back and find my digital eraser. I’m discovering more Chardonnay I really enjoy and this was one joins that group. The wine has nice soft fruit – peach perhaps – on the palate with a hint of the wood but most importantly to me was the wonderful balance. I wasn’t clobbered by the fruit or the wood and it was still a rich mouthful of wine. I’d drink this wine with chicken or pork dishes. The alcohol was a bit of a surprise at 14 percent, but I wouldn’t have guessed that without looking. Stoneleigh Latitude 2013 Chardonnay, avg. $17 retail, Trade Sample, Highly Recommended. Altos de Tamaron 2013 – If any country in the world makes wine as consistently good for $11 as Spain, I’m still searching. Since much of my focus, at least in the newspaper column, is on value wine and getting folks out of the supermarket wine aisle this is a huge winner. For years I’ve recommended Malbec and Tempranillo wines. Nowadays I seem to find more consistency from Spain at the bottom of the price chart than Argentina. I thought this wine was simply darn tasty for the $11. We can go on with the dark rich flavor and deep purple color all you want but its pleasing and smooth red wine. The finish was longer than expected and I’d drink it – and buy it – in a minute. The wine has been a pretty consistent medal winner in previous vintages. It never seems to win the gold but consistently takes silver or bronze. In the big international tests, that’s pretty consistent. I’d drink this wine with grilled chicken, pork, lamb, and I actually had it with a bit of a quick meatloaf. This wine is rewarding enough to even put on your evening sipper list for a weeknight. I’d highly recommend the wine for beginners or regular wine drinkers. Altos de Tamaron 2012, SRP $11, Trade Sample, Highly Recommended.